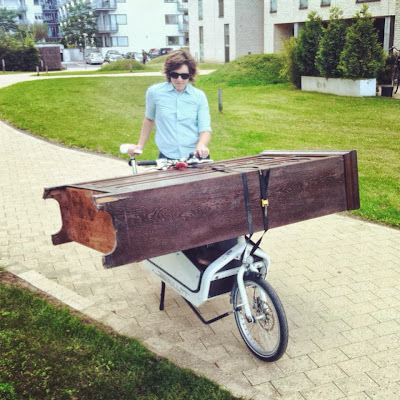 During the months of August and September, Copenhageners took part in a photo contest, Shop by Bike KBH, to see who could carry the biggest, weirdest and craziest items on their bikes and prove once and for all that we are the world's coolest bicycle city. 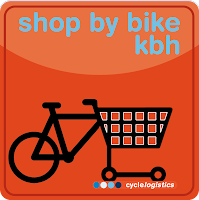 Shop by Bike KBH was a component of the ongoing EU-funded project CycleLogistics, which aims to reduce energy used in urban goods transport by replacing unnecessary cars and delivery vans with bicycles, particularly cargo bikes. The contest was an opportunity for everyday citizen cyclists to get involved in the project and win some stylish prizes from Cycle Chic Republic in the process. The photo competition had three categories: largest load (size really does matter), craziest load (amateur balancers need not apply) and strangest items (the head-turners). We received some amazing entries, but luckily the decision making fell on the shoulders of some very experienced, capable judges. 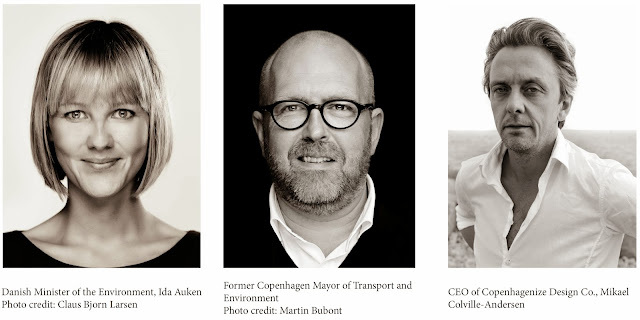 Danish Minister of the Environment, Ida Auken; former Danish Mayor of Transport and Environment, Klaus Bondam, and Copenhagenize Design Co.'s own Mikael Colville-Andersen lent their expert opinions to decide on our three category winners. The winner of the largest load category is: Astrid Marie Busse Rasmussen! Astrid sent in this great shot of moving by bike. This cabinet was no stress for her well-equipped Bullitt. A good harness and some wide cycle tracks helped make the journey a breeze. Moving on to the winner of the craziest ﻿load, congratulations to Anne Katrine Braagaard Harders! Anne Katrine didn't even break a sweat on the way to her work out by balancing her gear in such a creative way. Excellent use of handlebars, by the way. And last but not least, the title of weirdest items goes to Julie Schack! That's one way to stay warm on a chilly ride home! 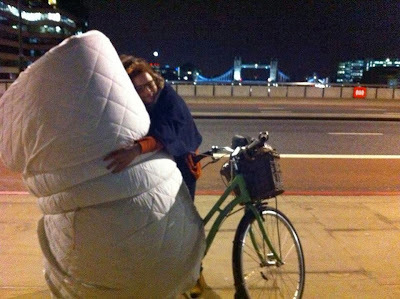 Carting home this mattress by bike must have turned some heads, but Julie earned herself a good night's sleep, that's for sure. 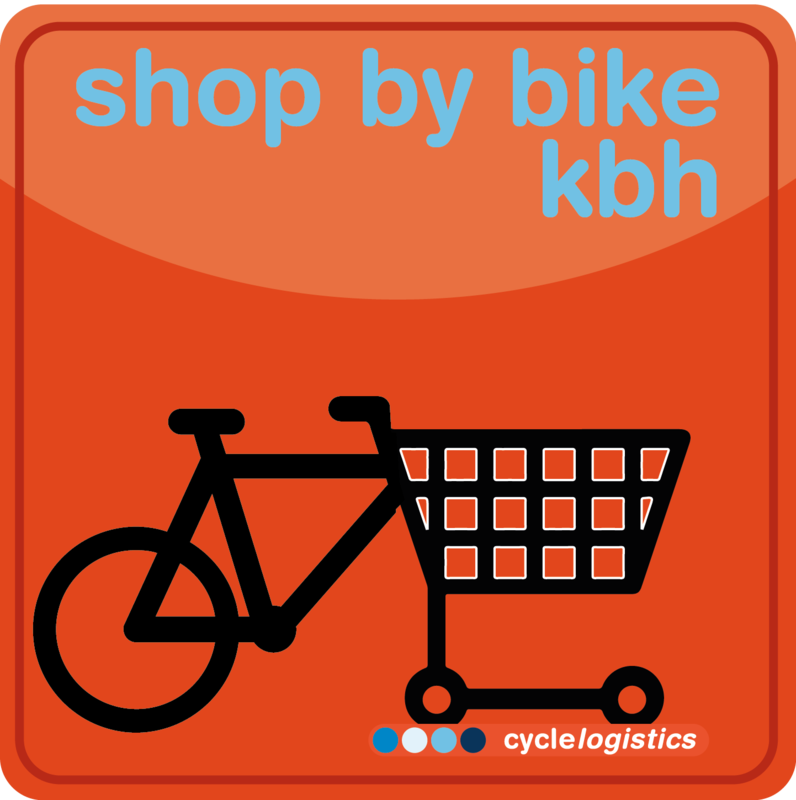 Thank you to everyone who participated in Shop by Bike KBH for making it a great success and to our judges for lending their top-notch insights. 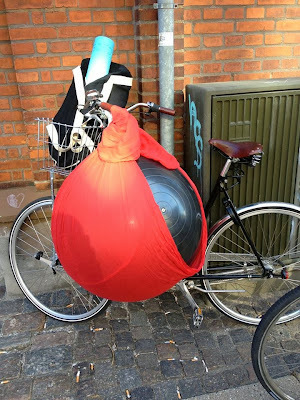 And just because the competition is over doesn't mean any Copenhageners will quit these impressive biking habits. Just check them out any day on the city's streets, riding and shopping in true cycle chic style.